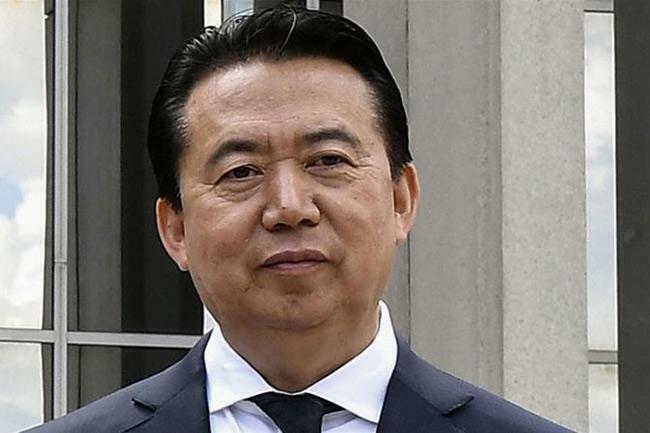 Probashbangla24 online Desk : French police are investigating the disappearance of Interpol chief, Meng Hongwei, who was reported missing after travelling from France to his native China, and they have placed his wife under protection after threats, the interior ministry said on Friday. A person familiar with the investigation into the disappearance said the initial working assumption of Western investigators was that Meng had antagonised Chinese authorities in some way and had been detained as a result. ‘France is puzzled about the situation of Interpol’s president and concerned about the threats made to his wife,’ the ministry said. It was not clear why Meng, 64, who was named Interpol’s president two years ago, had travelled to China. Hong Kong’s South China Morning Post quoted an unnamed source as saying Meng had been taken for questioning as soon as he landed there, but it also was not clear why. French police are investigating what is officially termed in France a ‘worrying disappearance’. Interpol, which groups 192 countries and which is usually focused on finding people who are missing or wanted, said it was aware of reports about Meng’s ‘alleged disappearance’. ‘This is a matter for the relevant authorities in both France and China,’ the agency said in a statement.